In any given age, individuals able to learn from history are vanishingly rare. That’s why, as Karl Marx observed, history repeats itself. 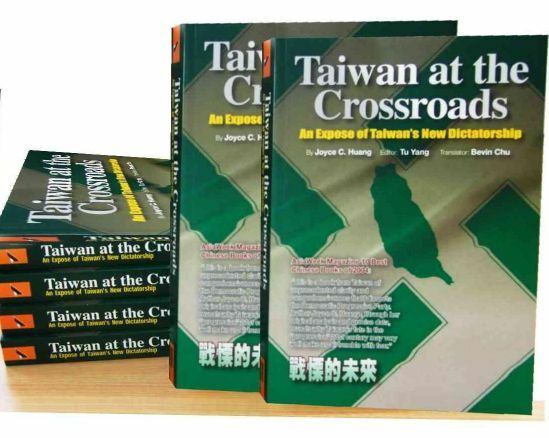 One rare individual with the ability to learn from history, is Huang Chi-hsien, native Taiwanese liberal reformer, television commentator, noted author of Taiwan at the Crossroads: An Expose of Taiwan’s New Dictatorship, and numerous other books. 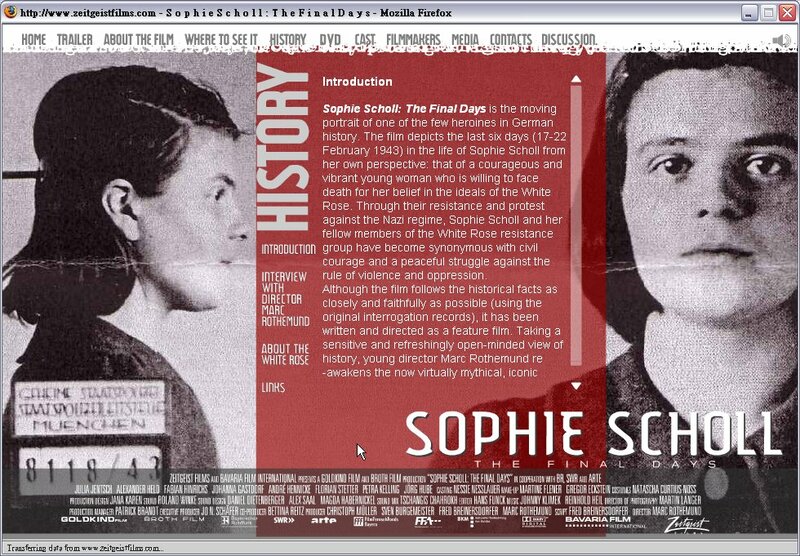 According to Wikipedia, Sophia Magdalena Scholl (1921-1943) was a key figure in the White Rose non-violent resistance movement in Nazi Germany. She was convicted of treason and executed by guillotine. She is celebrated as one of the few Germans who dared to oppose the Third Reich during the Second World War. Scholl’s father was the mayor of Forchtenberg am Kocher. 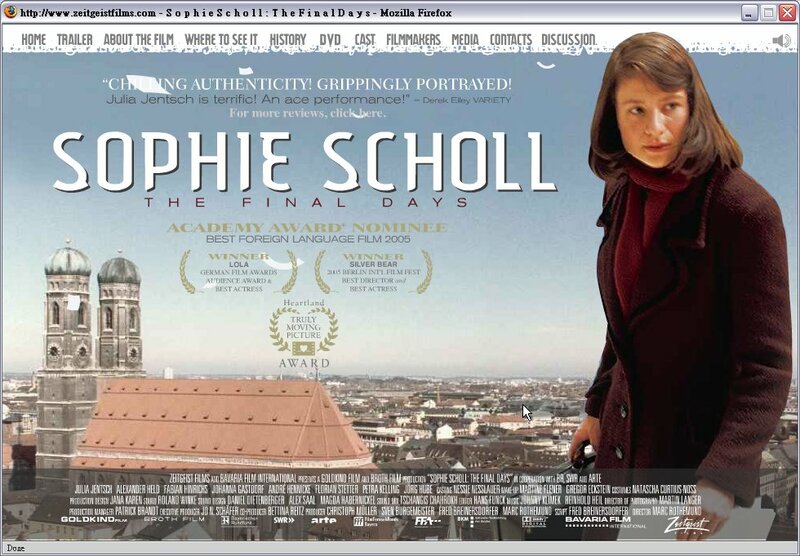 Scholl was an integral part of German society’s mainstream. She had no intrinsic need to defy the society into which she was born. To be considered authentic German under the Third Reich, to qualify for a position in the SS for example, one had to document one’s German background back to 1750, seven to nine generations. Joyce Huang is Taiwanese, ninth generation Hoklo Taiwanese. Hoklo Taiwanese are Han Chinese who migrated to the offshore Chinese island of Taiwan from Fujian over the past three centuries. 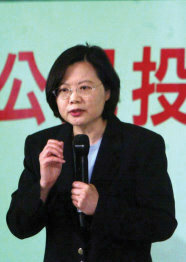 Taiwan independence fascists routinely refer to someone with Huang’s background as “zheng gang de tai wan ren,” i.e., “authentic” Taiwanese, or “ben tu tai wan ren” i.e., “native” Taiwanese). 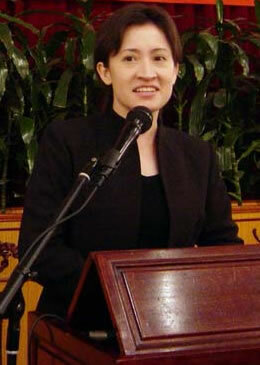 Like Scholl before her, Huang was a member in good standing of her society’s dominant ethnic majority. Huang was a member of the post-Chiang, ruling Hoklo majority. Huang, needless to say, would never refer to herself in such terms. Huang would never even think of herself in such terms. By not thinking of herself in such atavistic, tribalist, racist terms; by thinking of herself as a member of the human race first, as a member of a proud civilization next, and as a resident of a geographical region third; Huang turned herself into a pariah with her own Deep Green parents and siblings. Huang dropped out of high school and struggled to make her own way. She drove a cab, worked on a factory assembly line, bussed dishes in a restaurant, even pulled weeds on highway center dividers for 600NT (US$20) a day. Eventually, after enormous hardship, she earned enough to put herself through college in the US and the UK, earning herself an MBA. Why did she do it? Why not leave well enough alone? Hell, why not exploit the enormous personal advantages that her Politically Correct, nay, Ethnically Correct background could easily have provided her, the way so many ambitious Yuppies in the Pan Green camp have during the Lee and Chen dynasties? . 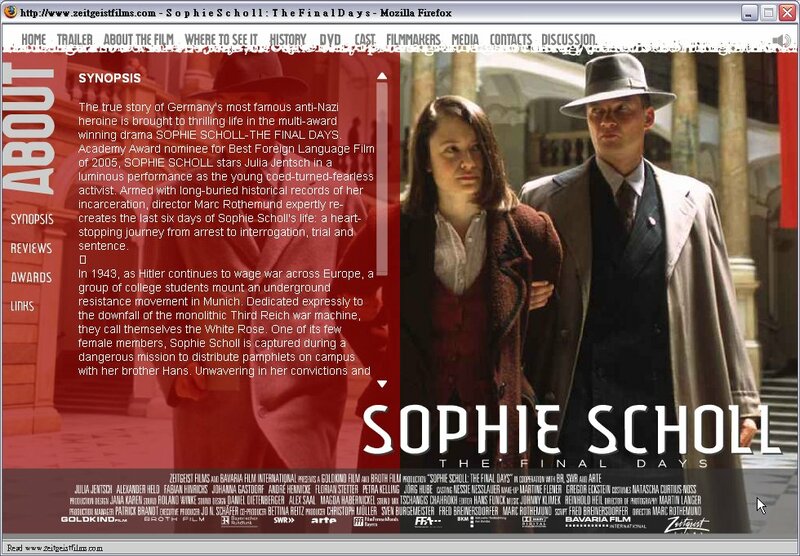 Joyce Huang defied her society, and made life enormously difficult for herself, because she, like Sophie Scholl before her, has a voice inside her that will not permit her to tolerate the intolerable. Nothing is so unworthy of a civilized nation as allowing itself to be governed by an irresponsible clique that has yielded to base instinct. Do not forget that every people deserves the regime it is willing to endure! 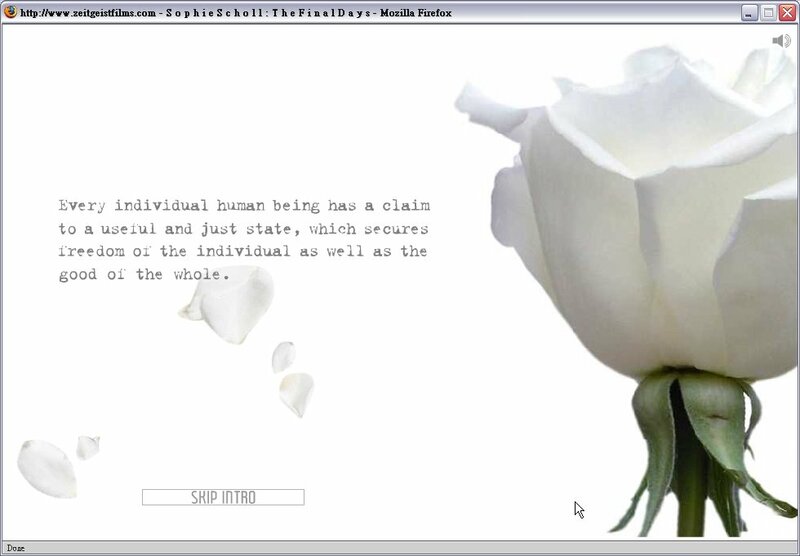 Every individual human being has a claim to a useful and just state, which secures the freedom of the individual as well as the good of the state. Disassociate yourself from National Socialist gangsterism. Prove by your deeds that you think otherwise. 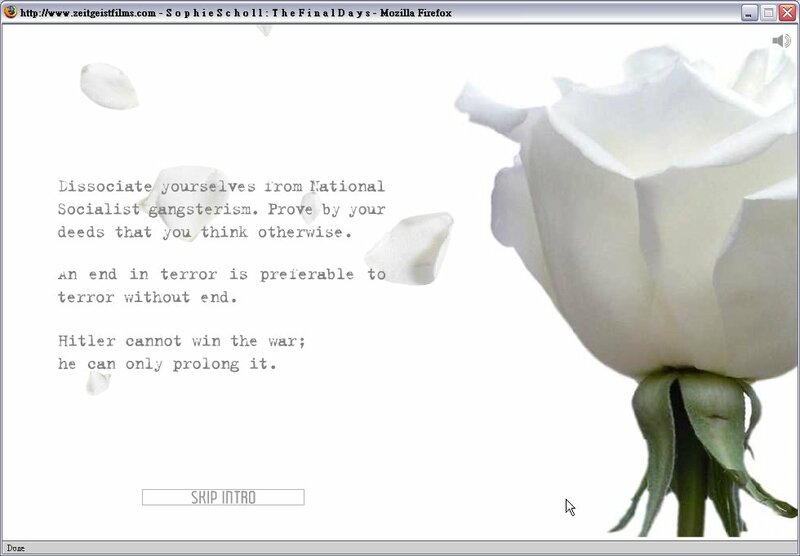 An end in terror is preferable to a terror without end. Hitler cannot win the war, he can only prolong it. We will not be silent. We are your bad conscience. The White Rose will not leave you in peace! Like Scholl before her, Huang is acutely aware of her society’s historical context. Like Scholl before her, Huang is disturbed by the direction her society has taken. Like Scholl before her, Huang refuses to remain silent, insists on being her society’s bad conscience, and will not leave those who impose or abet tyranny in peace. Most people have only the foggiest idea of the historical context in which they live. Who are they? Where did they come from? Where are they headed? They will never know. What’s worse, they don’t want to know. Establishment intellectuals will assume I’m talking about the proverbial “man in the street.” I’m not. I’m talking about them. Establishment intellectuals are apologists for prevailing political paradigms, incapable of thinking for themselves. These “court intellectuals” have never had an original thought in their lives, and never will. Court intellectuals cast themselves as “free thinkers.” They are nothing of the sort. Court intellectuals, far from being free thinkers, are “paid thinkers.” Green is the color of Pan Green court intellectuals on Taiwan, in more ways than one. I make this observation, not with pride, because I consider myself a rare individual blessed with the capacity for independent and original thought. I make this observation with dread, because nominally enlightened societies have learned nothing from history, and are mindlessly repeating the mistakes of the past. Court intellectuals on Taiwan in particular, have learned nothing from the history of Nazi Germany and mainland China under Mao. These court intellectuals absorb the politically correct conventional wisdom from the society around them, dutifully recite it back to the powers that be, and are generously rewarded out of the public coffers for validating the corrupt status quo. Had they lived in Germany, they would be mouthpieces for Nazism. Because they live on Taiwan, they are mouthpieces for Taiwan independence fascism. 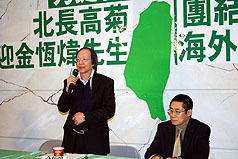 These court intellectuals include Deep Green members of the Taiwan independence nomenklatura such as Ching Heng-wei, Hsiao Bikim, Lee Hung-hsi, Lee Yuan-tse, and Tsai Ying-wen. The term “strange fish” is slang for someone who is aware of culture. It comes from the proverb, “It is a strange fish that knows the existence of water.” We live within our culture, which we also carry about with us. To be a fish is to be unaware of water. Perhaps the fish can move through different kinds of water, such as going from a river to the ocean, but it is still water. A fish that jumps out of water … experiences non water briefly. For us to be aware of culture … we need to remove ourselves from culture. In case you’re wondering, that’s a compliment, the highest compliment I can give. Some of my best friends are strange fish. I pride myself on being a very strange fish. Court intellectuals are fish who don’t know about the existence of water. Joyce Huang knows about water. Joyce Huang knows only too well how poisoned Taiwan’s political waters are. 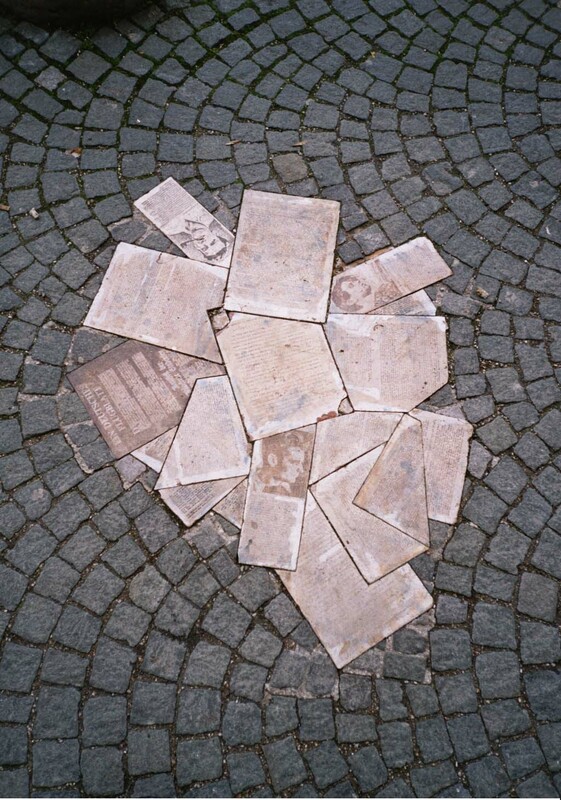 Like Sophie Scholl, who knew that the people of Germany were blindly marching down a dark path toward oblivion, Joyce Huang knows that Taiwan is marching down the same path, toward its own “ben tu” (nativist) brand of oblivion. Fortunately Marx was right. Not about economics, but about history. History repeats itself, first as tragedy, second as farce. Because history is repeating itself as farce, Huang is still alive and well. 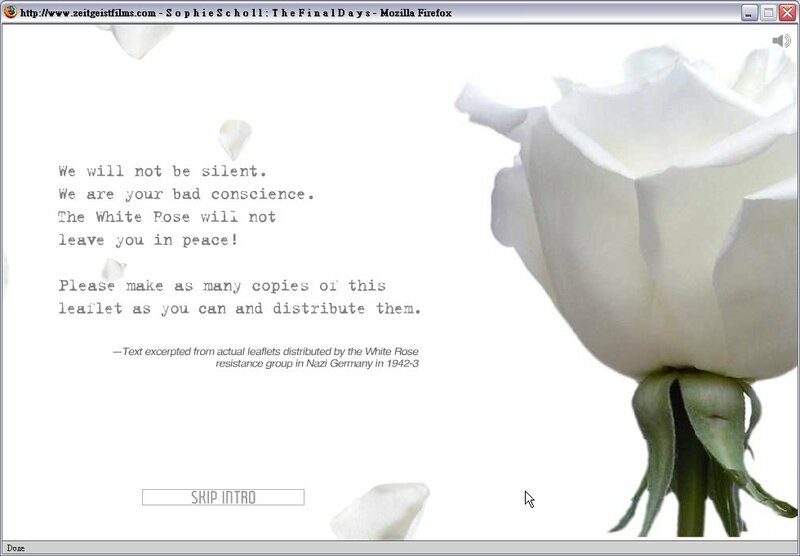 If history were repeating itself as tragedy, the courageous Huang would already have suffered the same fate as Sophie Scholl, who was beheaded on the guillotine. Unfortunately, history repeating itself as farce is tragic enough. A family of six in Taipei City has lost five of its members to suicide over the past four months after the mother and two older sons jumped from the Chen Mei Bridge into the Keelung River early Sunday morning. That compounded a family tragedy that began in late August when the father and daughter took their lives from the same bridge. After the son took the note to the Nankang Police Department seeking help, police went to the bridge and found three pairs of slippers and an umbrella on the sidewalk, in a scene that was an eerie reminder of the deaths of the family’s father and sister four months earlier. The bodies of the mother, Chen Chin-chih, 53, and oldest son, Lee Shih-chang, were found by the police, but that of the second eldest son, Lee Shih-chou, remains missing. Police also discovered from footage shot by security cameras in the family’s neighborhood that the three suicide victims left their home at approximately 1:53 a.m. Sunday morning. Based on the video footage, the slippers left on the bridge and the note left behind, the coroner ruled out homicide as a cause of death. It remains unclear what drove the family members to take their lives. It is believed, however, that financial woes may have played a part. The daughter, 28-year-old Lee Pei-ling, was the family’s only wage-earner when she and her father, unemployed construction worker Lee Shih-ying, committed suicide in August. According to the local news media, Lee was an independent contractor who was left in heavy debt after the company he did most of his jobs for went bankrupt and failed to pay him money owed. Lee later became ill, reports said, leaving him unable to work and recoup his losses. After he and his daughter committed suicide in August, reports of the family’s poverty and inability to afford funerals for the two family members drew sympathy and donations from local residents. The family of six was living in a rented apartment only 13-16 square meters, local news reports said. Well, yes and no. Joyce Huang as a personage, i.e., “a person of distinction,” may not be important. But Joyce Huang as a paragon, a “model of excellence,” is vitally important. Joyce Huang is as important to China’s future as Sophie Scholl was to Germany’s. The sun no longer shines over Taiwan. Like the Chinese mainland under Mao’s Three Antis, Five Antis Campaigns, Great Leap Forward, and Great Proletarian Cultural Revolution, Taiwan is dying. 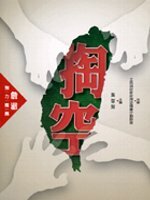 Like the Chinese mainland, Taiwan will have to die before it can be reborn. Correction, if it is to be reborn. Rebirth is hardly a forgone conclusion. Societies that have died and were never reborn vastly outnumber those that enjoy a new lease on life. India and China are exceptions. Egypt and Greece are the rule. The Taiwan region of China has two options. One, it can be reborn as a distinct entity uniquely valuable to the Chinese nation as a whole, as well as to the global economy. Two, it can revert to its traditional, and if truth be told, normal status as an impoverished and irrelevant provincial backwater of China. 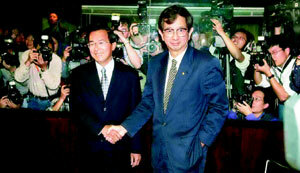 Political independence for Taiwan, as even Chen Shui-bian conceded in a moment of rare honesty, is not an option. The answer depends upon the people and leadership on Taiwan, on whether they possess the wisdom and foresight to alter their increasingly narrow and impassible “ben tu” path, so Politically Correct for this constricted island in here, so practically wrong for the wider world out there. Disassociate yourself from “ben tu” Taiwan independence fascism. Prove by your deeds that you think otherwise. An end in Green Terror is preferable to a Green Terror without end. 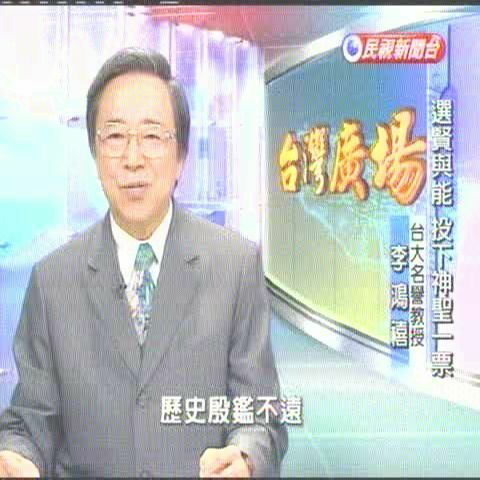 Chen Shui-bian, like Lee Teng-hui before him, cannot achieve Taiwan independence, he can only precipitate disaster. 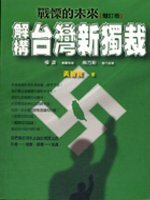 People and political leaders on Taiwan, not just Pan Greens, but also “ben tu” inclined Pan Blues, must listen to those rare individuals capable of learning from history, to “strange fish” who know the existence of water, to individuals like Joyce Huang, the Sophie Scholl of Taiwan. But friend, comparing Nazi Germany and free democratic Taiwan with each other is bogus. People can freely voice their opinion in Taiwan, but they were killed for it in Nazi Germany, like Sophie Scholl.Though the DPP is getting on my nerves as well with their real-Taiwanese blubbering.